Are you looking for premium dental treatments for affordable prices? Then R Alan Smith can help. With over 43 years of experience and the best in dental facilities, you can be assured that you are receiving the very best care possible. We offer a friendly and professional range of dental services to private clients located throughout Portadown and the surrounding area. 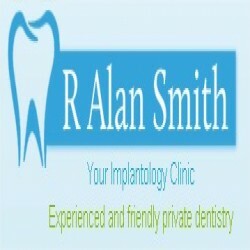 Specialising in dental implants and orthodontics you can get a beautiful smile to be proud of with R Alan Smith.